Unfortunately, this amazing, down-to-earth and realistic teenage experience came to an end with a series cancellation last year after producing two seasons. However, the Netflix Original is still available to watch. If you are interested in kicking off this year with compelling teen portrayals, I recommend that you, too, take a chance on this show. “American Vandal” is a teen satire of true-crime shows. The crimes are over-the-top pranks that result in the uncovering of dark, teen secrets. 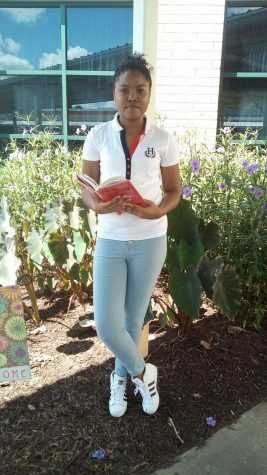 The first season revolves around the issue of obscene drawings on the cars in the teacher’s parking lot of Hanover High School. A teenager seen as “not going anywhere” is pinned for the crime. 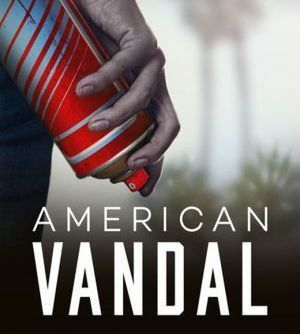 Peter Maldonado (Tyler Alvarez) and Sam Ecklund (Griffin Gluck), two sophomores who attend Hanover High, create American Vandal in the midst of this in order to get Dylan Maxwell (Jimmy Tatro), a nonchalant senior seemingly innocent of the crime, off the hook. The second season centers on several crimes committed by the anonymous Turd Burglar at a Catholic High School. Peter and Sam move to Bellevue, Washington upon receiving a call from Chloe Lyman (Taylor Dearden), a junior concerned about her former best friend, Kevin McClain (Travis Tope), being wrongly convicted of the Turd Burglar crimes. This season outshined the first one with its complex but definite ending. It was amazing to see how the two seasons contrasted themselves. The unfolding of season one’s mystery was simple but ambiguous while season two’s mystery unraveled with one twist after another and ended with certainty. In season one, the witness identified Dylan, a low-down prankster, while the witness in season two identified DeMarcus Tillman (Melvin Gregg), the top basketball player loved by all teachers and students. The show addresses the importance of not letting high school define your life in the season one finale. After all, “it’s only four years.” It also tackles how viewing someone as a culprit might just decide his/her fate and the disappointment of trusting someone and then he/she proves everyone right by committing the rumored wrongs. Peer pressure, student voice, and personal image are among the many other critical topics discussed.